Why was Eric Stoltz fired? How weird was Crispin Glover? 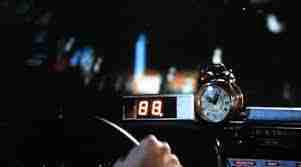 And why did the DeLorean need to reach 88 mph? Celebrate the day to which Marty McFly and Doc Brown travel in 1989’s Back to the Future II with these facts. Sid Sheinberg, the risk-averse studio executive in charge of shepherding Back to the Future into cinemas, was spooked by the dismal box-office performance of time-travel movies Somewhere in Time, Time Bandits and The Final Countdown. Fearing the same fate for Robert Zemeckis’s film, he suggested an alternative title inspired by the script’s references to Marty McFly being mistaken for an alien by the residents of Fifties Hill Valley: Spaceman From Pluto. Gale pointed to the success of Every Which Way But Loose, in which Clint Eastwood starred with a simian called Clive. But that was an orangutan, Sheinberg replied. Big difference. Shemp subsequently became a dog named Einstein. The movie equivalent of TV’s jumping the shark, the phrase was coined after Indiana Jones shielded himself from a nuclear bomb by hiding in a fridge, and has now become shorthand for a ridiculous, logic-defying plot device. 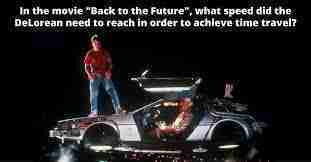 But Back to the Future almost did it first. 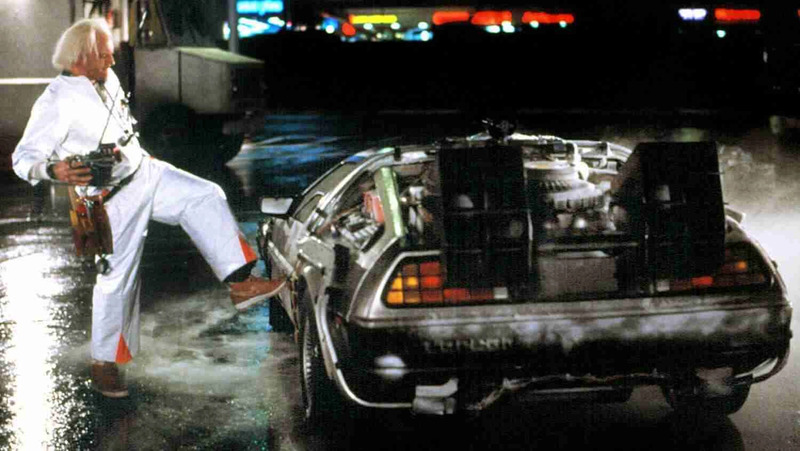 In an early version of the script, the time-travel device was driven towards an atomic blast while strapped to a fridge, with Marty McFly climbing inside to escape the blast. Steven Spielberg reportedly nixed this idea, worried that kids would copy Marty and become trapped inside the family refrigerator. 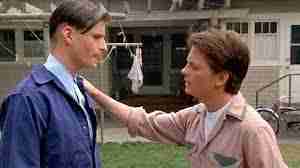 For Stoltz, this meant taking his rivalry with screen bully “Biff” Tannen to ridiculously Method extremes. Actor Thomas Wilson, who played Tannen, tells Gaines that Stoltz repeatedly left bruises on his collarbone after refusing to ease up during their fight scenes. To Wilson’s relief, Stoltz was eventually paid off and – after an agreement was reached with the producers of Family Ties – his scenes reshot with Fox. 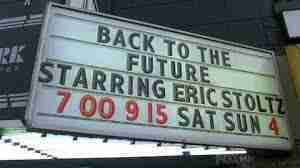 When told that his co-star had been let go, the actor playing Doc Brown reportedly said: “Who’s Eric?” Stoltz had been referred to as “Marty” throughout the production, and it transpired that Lloyd believed that was his real name. After playing George McFly in Back to the Future, the eccentric actor carved out a niche making gruelling, semi-pornographic outsider art films, performing one-man dance shows, and touring the world with a PowerPoint presentation called Crispin Hellion Glover’s Big Slide Show. So it may surprise absolutely nobody to learn that when Lea Thompson was invited to his apartment for an evening of line-reading during filming, she found his home painted entirely black, devoid of furniture and with a stainless steel operating table in the middle of the living room. In case you’re curious, Glover currently lives alone in a 15-room mansion in Prague. The internet is full of attempts to explain the speed the Prof’s car had to hit in order to time travel (sample: “If the wormhole stability was measured as lasting only .10717 seconds then to move a car 4.216 meters long [A DeLorean] through the wormhole before it closes you would need to be moving at 39.3395 meters per second or 88 MPH”). But the truth is much simpler: the production designers thought it looked cool on the digital speedometer and would be easy for the public to remember. Glover didn’t return for the two sequels, reportedly because he asked for too much money. Zemeckis, who had struggled with getting Glover to behave “like a human being” in the first film, seized the opportunity to replace him as George McFly with another vaguely similar actor wearing a latex mask. Glover sued the producers for using his likeness, and was awarded $1 million. But in a 2013 interview, Glover revealed the “real” reason why he didn’t come back: he objected to the ending, which finds the McFly family rich and happy. “I said to Robert Zemeckis I thought it was not a good idea for our characters to have a monetary reward,” he said, “because it basically makes the moral of the film that money equals happiness… love should be the reward.” Zemeckis, understandably, “got really mad”. Jeffrey Weissman, the poor man under the Crispin Glover latex in Back to the Future Part II, tells Gaines that his fellow actors didn’t exactly welcome him with open arms; in fact, they barely bothered to learn his name. Thompson even took to introducing him to people as “the guy playing Crispin”. 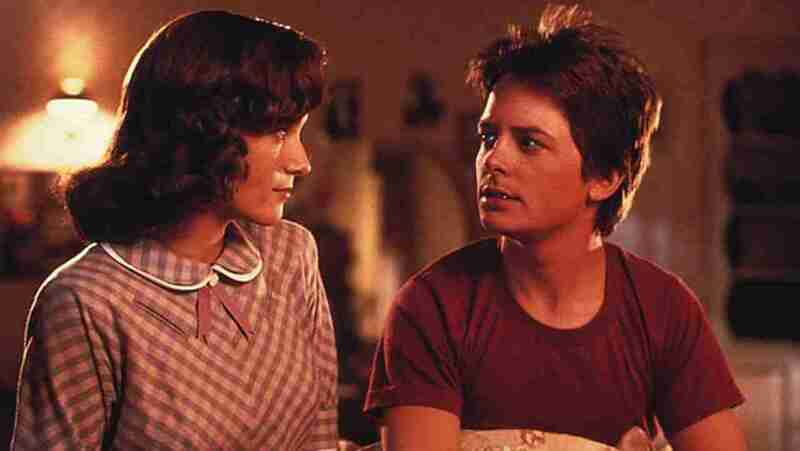 The script called for Marty McFly to pick up a guitar at the school dance and invent rock’n’roll by playing Johnny B Goode. But it was written without Berry’s permission, and the rocker kept Zemeckis and Gale waiting until the day of filming to give them the go-ahead. The $50,000 cheque they agreed to write possibly helped. A few months after Huey Lewis and the News recorded The Power of Love for the Back to the Future soundtrack, they were asked by Columbia Pictures to write the theme to Ghostbusters. Loyal to Zemeckis and Co, they declined. Back to the Future’s opening is a panning shot of Doc Brown’s workshop, showing dozens of clocks all showing the exact same time. But many of them kept stopping and messing up the shot, meaning 20 crew members had to sit off-camera setting them off with switches and pulleys the millisecond each take began.